Hello, happy Tuesday! I can't believe we're in October already! Its feeling cooler and breezier and it was still dark when I took Buddy out at 6.30 this morning. Autumn's here! I still couldn't persuade E to wear her coat to school this morning though, despite the chill. I could see she was cold, but she's a stubborn thing! Anyone else have the same argument with their child?! 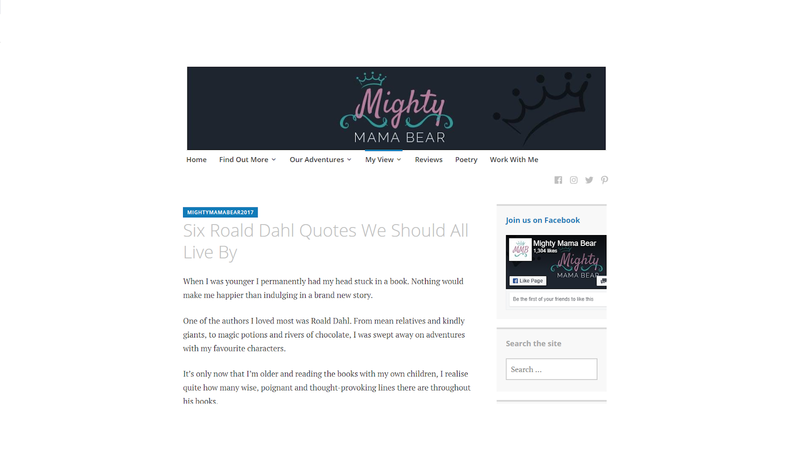 This week's Tuesday Twinkler is Mighty Mama Bear who has shared a lovely post filled with Roald Dahl quotes. 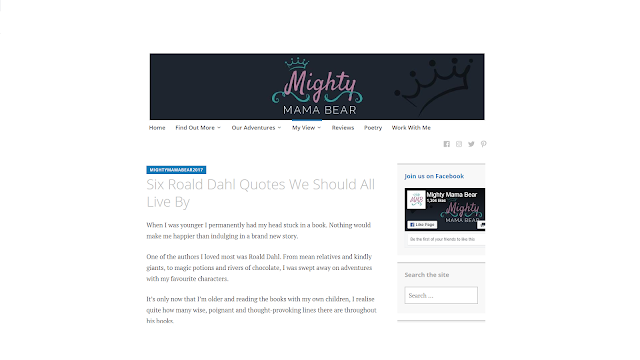 I loved Roald Dahl books when I was a child and E is now starting to read them herself, which is lovely to see. Its not until you read them back as an adult that you realise just how wonderful those quotes are. 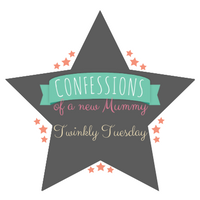 I'd love a weekly tweet reminder please! !